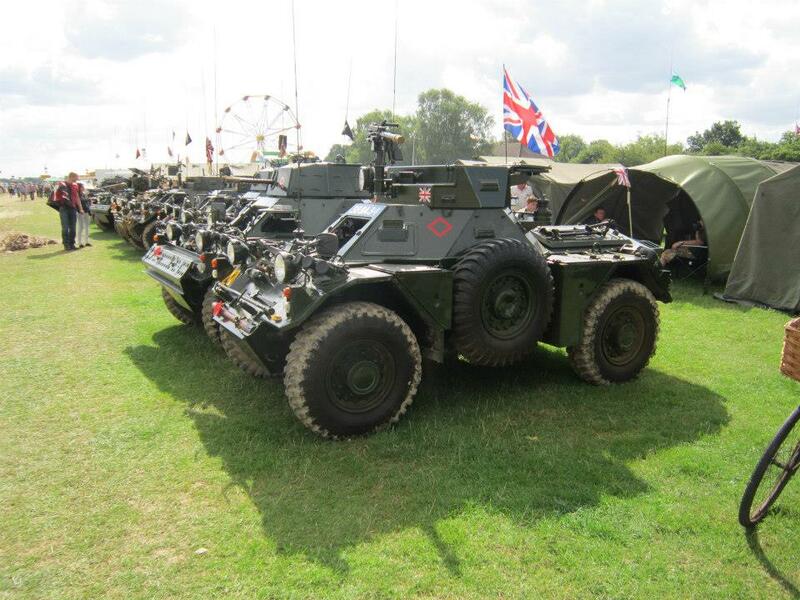 Kent's Military Vehicle and Vintage Airshow - celebrating its 10th year! This unique event held at Headcorn Aerodrome has a variety of vintage and modern aircraft displays, on the ground and in the air. 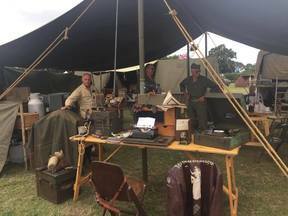 A family event which includes static military vehicles, living history re-enactment groups, arena events, military stalls, children's entertainment and food stalls to make this a perfect day out. VIP ticket holders will benefit from viewing area. A Hurricane or Spitfire will be in the VIP area, with a pilot available to give an interview. VIPs can walk around the aircraft, take pictures and see a running Merlin engine up close. Over the years the event has attracted some of the most spectacular aircraft in the country. In 2016 we welcomed the B-25N ‘Mitchell’ - Royal Netherlands Air force Bomber and The Catalina 11005 – Royal Canadian Air Force. As well as an air display from the BBMF – Lancaster, Spitfire and Hurricane and flypast from the Red Arrows. 2015 we had the incredible Vulcan bomber which not only filled the skies with its shear size but its deafening sound. 2014 saw the only two flying Avro Lancaster bombers doing a full display. The Aerodrome attracts lots of vintage aircraft, from all over the country. Throughout each day aircraft will be landing and taking off as well as many aircraft on static display. If you have never been close to these amazing machines and their pilots then now is the time. Find out more about the The Tigers. IMPS is a society of enthusiasts dedicated to the preservation and restoration of military vehicles from all periods, but mainly from WW 1 to the present day, regardless of the nation which produced or used them. The achievement for many of the members comes from returning these historic vehicles to as near as possible (within limits) their original condition. In fact some of the more unusual vehicles owned by members can truly be described as unique in that they are the only surviving examples. The club takes part in many rallies and commemorative events each year and is keeping a part of history alive. For more information please click here. If you have a vehicle you wish to display, please click here or if you are part of a Living History Re-enactment Group then please click here then just download the form and send back. You must book prior to arriving. Traders and Stall Holders To book a stall at Combined Ops, please click here, fill in the form and email or post back. See up close a huge variety of displays, the attention to detail is amazing. All the owners of these displays are passionate about the past, If you need to find out more then please go and talk them its why they are there. 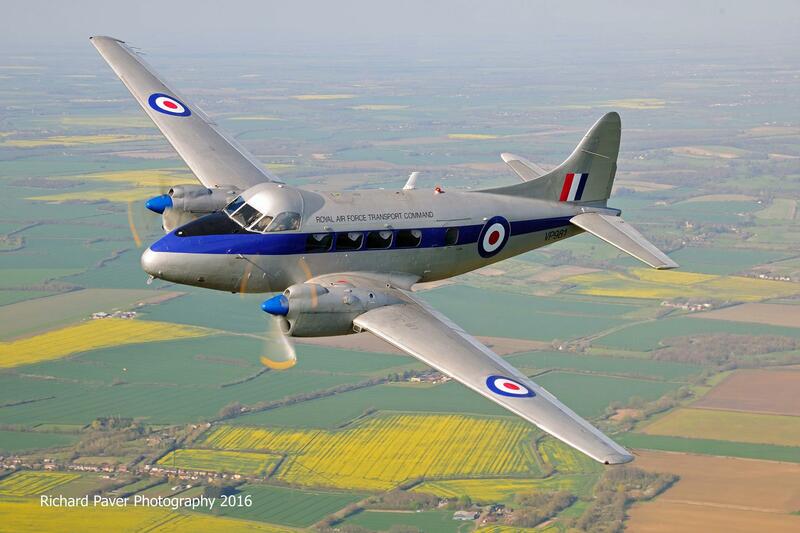 The Devon aircraft was developed for the RAF from the civil de Havilland Dove 4 as a light communications and transport aircraft. Perfect for sightseeing, all seats have a window, giving each passenger clear views of the landscape beneath. Bbook a flight on the day! A large selection of the machines on display are driven around the event arena, where running commentary will keep you informed of all the facts and figures. See these beautifully restored machines roar into life. Every year a fierce battle is fought in the fields of Headcorn depicting real scenes from WW2. The re-enactors armed with real weapons expelling thousands of blank rounds engage in carefully planned skirmishes. The sound from the guns is deafening, together with explosions that blow holes in the ground and filling the air with dirt and smoke is certainly adrenaline pumping action. The battle re-enactment takes place on both days and combines men and machinery in a well rehearsed fight. Tanks roar in from one side, while the opposition open fire from the other, this is as realistic as it gets! For just £89 - includes four adult tickets! Discounted tickets can be purchased in advance through our website or you can pay on the gate on the day. Fires and BBQs Fires and BBQs are not permitted in the grounds. Camping is permitted for I.M.P.S members only and is strictly by pre-booking only. No overnight stay is permitted in the Aerodrome grounds. We have designated parking area available and WC facilities. However, please be aware that Headcorn is a grass airfield. Mobility aids are available to hire from the Red Cross onsite. For more details please email RFellowes@redcross.org.uk. Biddenden Tractorfest is also taking place on the 19 and 20 August at Beech Lane Field, Biddenden. For more information telephone 07934 270500 or visit their website. The Armour Rolls out. Wheeled and Tracked armour. All displays are subject to weather and availability. This can be cancelled or changed at any time without notice. Also we cannot give flying times due to weather and serviceability constraints. We also have and extensive bar in our marquee with seated area inside and out. Our resident DJ playing some swinging sounds. Join in on the dance floor if you’re feeling energetic, the DJ encourages everyone to take part. food or beverage enquires please email John. Book a flying experience of a lifetime! 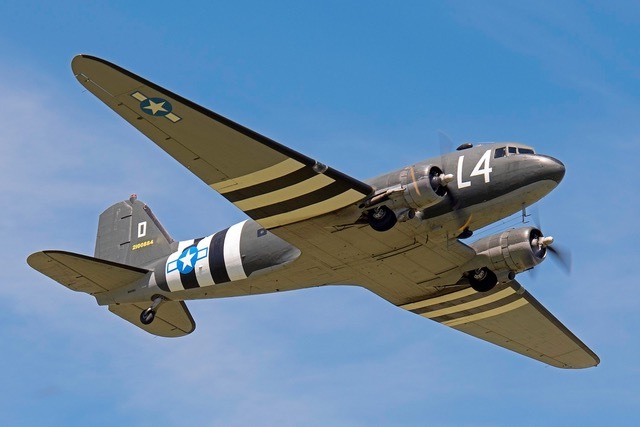 Aero Legends has its operation based at Lashenden (Headcorn) Airfield, the last grass wartime airfield left in Kent and offers customers the opportunity to experience the iconic British aircraft of World War II. Aero Legends offers a unique experience of being able to fly in and with the training and combat aircraft that the RAF used during WWII. Customers have a broad selection of options ranging from a short flight in a Tiger Moth through to the full experience package of Tiger Moth, Harvard and Spitfire. "Hold onto your seats and prepare yourselves for one of the most exciting in air spectacles..." . ..Experienced parachutists from The Kent based Princess of Wales's Royal Regiment's Parachute display team - "The Tigers" - will be 'dropping' into the arena, smoke trailing, flags flying, performing amazing formations both in the air and under the parachute. Find out more about the The Tigers here. When you walk from one display to another it gives you a sense of what it must have been like all those years ago, but meeting the characters in their full costume/uniform is not to be missed. You will certainly meet some incredible characters walking amongst you. We always encourage our guests to come dressed up!